Pot o'Sunflowers for Merriment Mini Fairy Gardening. 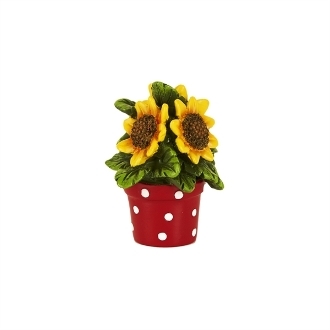 Full Description: These brightly colored sunflowers, designed by Mary Engelbreit, will make your mini garden pop! Features all-weather paint and hand-painted details.